As my beloved blog followers of MaryRefugeOfHolyLove have witnessed, ever since January 2017, when Heaven revealed to me the sequence of the unveiling of the Garabandal and Medjugorje events, as well as how Fatima tied into the Secrets, Heaven has been gently guiding my thoughts in writing commentaries for this blog. Basically, guiding me as I have been discerning various heavenly messages about my country, the United States of America, Pope Francis, and other matters vital to the success of the Divine Plan. In particular, for America, how Heaven desires that my country become (1) a sanctuary nation (refuge) for persecuted Christians and Christian belief; and (2) that America unites efforts with Russia to defeat the New World Order which will rise up in the European Union under the leadership of the antichrist. 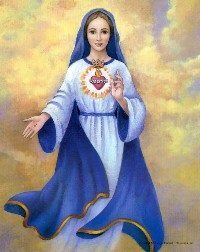 Also, in regards to Pope Francis, how the Catholic Church needs to consecrate Russia to the Immaculate Heart of Mary as well as other necessary steps to usher in the Second Coming of Our Lord, Jesus Christ. These steps have been outlined in my Appeal to Pope Francis, which many people have read. Well, in particular, this past year since January 2018, my beloved blog followers have also witnessed that Heaven has also been guiding me in my discernment about the Great Chastisement, which according to the Marian apparitions at Garabandal, is conditional on mankind’s response to the Warning (Illumination of Conscience)—the primary focus of this blog. And so, in January 2018, I first wrote a commentary about the Battle of Armageddon where I explained that this is an event that is not desirable for mankind. Yes, the Third World War—which is nuclear—is bad, but the Battle of Armageddon is infinitely worse. In the Secret of La Salette, Our Lady uses the phrase “it will rain with a fearful hail of animals,” and how when the three shepherd children at Fatima were shown a vision of hell, they described the demons as looking like “frightful animals.” Then, I tied these descriptions together with a ten-year old’s near death experience where Jesus revealed what the Battle of Armageddon is in reality—a war of demonic aliens, along with my personal experience of being “eaten alive” one night by satan for my work on this blog. Truly, nobody should want satan’s apocalypse, which has been described in the Book of Revelation by St. John the Apostle. Meanwhile, for the longest time, I have had this persistent thought that there are two endings in the Book of Revelation—at least, with respect to the Great Chastisement, which is conditional. I am not a Holy Bible expert or theologian, so I do not know for certain if my thought on this is correct, but it appears in Sacred Scripture, that there is an ending after the Two Witnesses die and are resurrected in Jerusalem; then there is an alternate ending that happens after all the terrible plagues and bowls by the angels are unleashed on humanity. Again, these are my private thoughts, but this is what I have been reflecting in regards to as the Three Days of Darkness (Great Chastisement), which is conditional. Meanwhile, I have been also discerning and pondering about the role of the Two Witnesses of Revelation, especially, the Fatima Pope, who will be ultimately entrusted with the Consecration of Russia—if it fails to happen under Pope Francis and Pope Benedict XVI. How very necessary the Consecration of Russia is for beating back the forces of darkness on the face of the earth and how the Resurrection of the Two Witnesses will bring about the unification of Israel and Christianity, and then also, the conversion of the rest of the pagans, including those of Islam. I have written how important the role of the Two Witnesses are to the success of the Divine Plan. Now, for the past couple of months, I have asking God in my heart, saying, Lord, You have shown me how awful satan’s apocalypse is, especially, the Battle of Armageddon and the Three Days of Darkness (Great Chastisement) is for mankind. However, what happens if the whole of mankind converts and is able to avert the Great Chastisement? What if the Great Chastisement does not happen? This question has been burning in my heart as I continue to pray and hope for the best—the ultimate goodness of mankind. And so, I have been delving into various bodies of heavenly messages such as Locutions To The World and the Book of Truth given to 7th Messenger, Maria Divine Mercy for clues as to the answer to my heartfelt question: what if the Great Chastisement does not happen? But, as I looked for answers, I kept coming across phrases and messages that did not make immediate sense. For example, in the Book of Truth, the Lord speaks of the Temple being rebuilt in Jerusalem by His chosen people after the persecution ends and how 7th Messenger, Maria Divine Mercy, will herald the Second Coming of Our Lord at the time that it happens. And reading such things gave me pause, because how could these events happen if the Second Coming immediately follows the Three Days of Darkness? Then, in the Book of Truth, I read something important in a 2014 message. Contrary to what many people think, the Book of Truth also mentions a period of time after the Three Days of Darkness has happened, in which people will see the Great Light of the Sun, which will also be the Great Light of the Face of Our Lord, Jesus Christ, which will descend upon the earth—indicating the approach of the Second Coming—but people will not know what hour, time, or day that it will happen. But, the Great Light will give great joy as people anticipate the Return of Jesus to earth. So, then when I read this, I understood that the Second Coming does not occur immediately after the Three Days of Darkness ends. 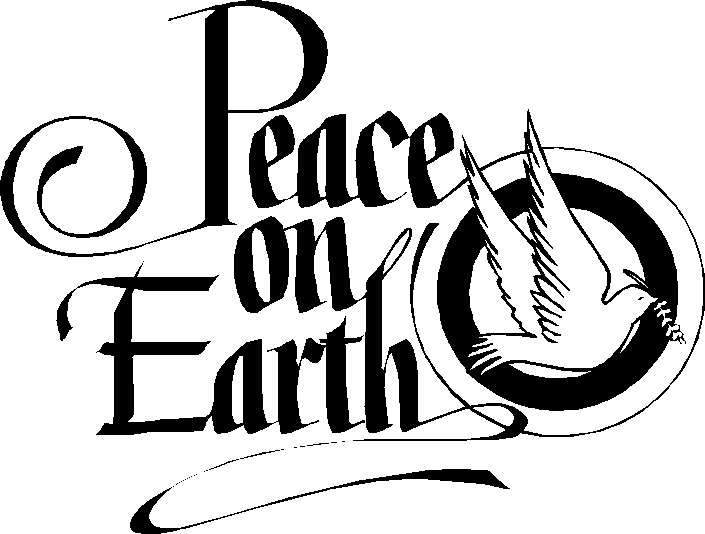 However, I do know that the Second Coming directly coincides with the Era of Peace on earth. So, in my search for clues, it seemed to me that there was an interval of time between the end of the Great Tribulation and before the Second Coming / Era of Peace descends on earth. So, this gave me some thoughts to think about. Then, I would read in Locutions To The World about how after the Fatima Pope (Two Witnesses) are martyred, that a special moment would descend upon the world by Our Lord. That this special moment called the “Valley of Decision” would be a time when the Lord would invite the entire world to cooperate with His Divine Will and His Divine Plan. And I read how most of the nations of the world would cooperate and come into the Light, thus, bringing about a new “springtime” in the world and universal peace. And I read how the small seed of faith left by the Fatima Pope (Two Witnesses) in Jerusalem would blossom in the world; that millions of shepherds from all walks of life would rise up—a gift from Our Lady’s Immaculate Heart—all of whom I believe would have their spiritual formation in the refuges and protected safe havens around the world. That these shepherds would be called out into the world and would help all nations of the world to become fully Christianized. And when reading these various messages together, it seemed that they were presenting what would happen in the world if the conditional Great Chastisement is prevented by mankind’s conversion back to God. Now, I must tell my beloved blog followers a story. In late 2015, I was introduced to the messages of Holy Family Refuge by a friend. Now, typically, when I am introduced to a new body of messages, I take some private time to discern them, because I do not promote any messages on this blog, MaryRefugeOfHolyLove, unless I firmly believe them. Otherwise, I would be a hypocrite and well, I would be responsible to Our Lord for leading souls astray from Him. So, I do not promote something that I do not believe would help me in my own salvation. However, there was something about the Holy Family Refuge messages that I could not immediately dismiss. Although I had not discerned every one of the previous messages before, after a few months of testing the spirits, I decided to feature them on the blog, because they were proving to be so helpful with the 2016 U.S. Presidential Campaign and November Election. 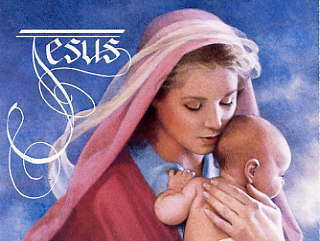 They just seemed to have an element of truth to them and I believe that the guidance given by Heaven in the Holy Family Refuge messages, as well as at Holy Love Ministries (http://www.holylove.org), were critical for informing prayer warriors and proved ultimately decisive in the win by Donald Trump for the U.S. Presidency. So, I was blessed with the intuition to feature the Holy Family Refuge messages on this blog. Thanks be to God! Now, at the time that I discovered the Holy Family Refuge messages, I was also made aware of the messages for the Children of the Renewal, which are also featured on the same prophecy website. However, I will be very frank with you, my dearly beloved blog followers. 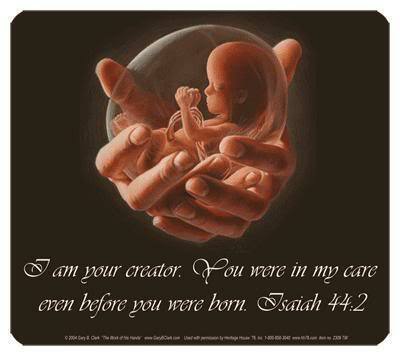 When I first read the messages for the Children of the Renewal, I did not understand them. I was actually confused by what I was reading. Why? Because the messages posted on the website were later messages in 2015 and I had no familiarity with the earlier messages in 2014 and 2013 that were posted on a different website. And so, because Fall 2015 was such a busy time for me with the blog, as Locutions To The World had ended abruptly (due to the worldwide economic collapse being averted by much prayer) and I was so busy manually placing all the Locutions on this blog, MaryRefugeOfHolyLove, I did not have time to do much discernment for any additional bodies of heavenly messages. So, I decided to quietly ignore the messages of the Children of the Renewal but promote the Holy Family Refuge messages, especially, as so much was happening in the U.S. elections. It was a matter of prudence with my time. Well, my beloved brothers and sisters, Jesus has a way of knowing exactly what we need even when we do not understand what it is. And so, as I indicated earlier, I have been asking the Lord in my heart, what happens if the whole of mankind converts? What happens if the conditional Great Chastisement is ultimately averted? I could see clues and inconsistencies in the heavenly messages that I do believe in—primarily, Locutions To The World and the Book of Truth (Maria Divine Mercy), but I needed more Light, because I was spiritual blind to something that I just could not put my finger on. There was something that I was simply not seeing and unable to discern properly. And so, about a month ago, I was using Google search to find a particular message within the Holy Family Refuge messages on an unrelated topic, when I came across an August 2015 message of Children of the Renewal, which was very intriguing for me to read. Basically, it was a letter of instruction by Jesus as to how the prophecy website was to be arranged, with Holy Family Refuge to be placed first on the site, then Children of the Renewal second. And Jesus said in the message that many people have been confused by the placement of the Children of the Renewal messages on the other website, but it was become clearer over time how the messages are to be read and understood by others. Now, my beloved brothers and sisters, when I read that instruction by Jesus, I had an “eureka” moment (epiphany). It was as if Jesus was speaking about me and my earlier confusion in 2015 that lead to me to quietly ignoring the messages of the Children of the Renewal. Now, by this time (November 2018), the prophecy website has been updated to include the 2013 and 2014 messages of the Children of the Renewal, so I quickly went to the very first message and well, I had another “eureka” moment. The Children of the Renewal messages were the answer to my question that I was asking God in my heart. And I realized my spiritual blindness to the Children of the Renewal messages was a blessing in disguise. Why? Because I needed to have the cognition to recognize their value in the Divine Plan, by first developing my thoughts on the refuges, the Fatima Pope and the Two Witnesses of Revelation, the sequence of the Garabandal and Medjugorje Secrets, the Fatima Consecration, the Secret of La Salette and the conditional Great Chastisement, and my Appeals to Pope Francis and my country, America. All of this discernment needed to take place first, so then I could be ready to appreciate the messages of the Children of the Renewal. And while I have not read all of the messages of the Children of the Renewal yet, I do want to endorse them as being authentic and of heavenly origin. So, as new messages are received, I will begin featuring them on this blog, MaryRefugeOfHolyLove, for people to consider, along with the Holy Family Refuge messages. However, from the messages that I have discerned thus far, I want to state that after the Great Tribulation ends—whether by the Three Days of Darkness (Great Chastisement) or by a more favorable way by God, there will be a “Renewal” period on earth preceding the Second Coming of Our Lord, Jesus Christ. The “Era of Peace” as we understand it—such as mentioned in the Book of Truth (Maria Divine Mercy) will began at the Second Coming. However, during the interim time, the “Renewal” period on earth, Christianity will spread throughout the world and the world will be rebuilt and populated by those who live through the persecution in preparation for the Second Coming. Jesus describes the Renewal period in the first message and it is very beautiful, peaceful, and joyful. I do not know how long the Renewal will be, but most people who lived through the Great Tribulation, will also live to be on earth to see Our Lord’s Return to earth. So, it will be a distinct period of time for mankind, but not so long that people will miss being alive for the Second Coming. And so, the rest of this special commentary is references! Links to various supporting heavenly messages and previous special commentaries by me that serve as a “chronology of thought” on this matter of the conditional Great Chastisement and the unfolding of the Divine Plan. Also, I have included some important heavenly messages from Locutions To The World, the Book of Truth (Maria Divine Mercy), and the Children of the Renewal, to help people understand further what I have been writing here. Finally, I hope that my special commentary is clear enough for everyone to understand my train of thought. Sometimes in my commentaries, I repeat things often, because I do not know if readers have read my previous writings or not and I want to be as thorough as possible, so people do not get confused. Reading the links and references for my commentaries are (I think) helpful for people so they can get information that they might have missed from the past. I am so grateful for each person who follows my blog, MaryRefugeOfHolyLove, because each of you encourage me so much to write as I think things out. I do not claim perfect discernment, but just knowing that people appreciate what I write means a lot to me. Much of my discernment simply comes from putting my thoughts on paper as I try to figure out what the Holy Spirit desires me to say. Just as each of you grow spiritually by reading what I write, I, too, grow spiritually, every time that I write something. So, thank you for giving me an audience to write to and for with all the love of my heart. I am blessed by you all. The Pope will enter Jerusalem like I entered it. The city will already have suffered much and Israel will begin to despair, wondering what can be done. Then this figure clothed in white will come, sent by the Father just as He sent me. He will come to save Israel, just as I came. He, too will die in Jerusalem but his death will have a profound effect upon the whole world. For the whole world will weep at his death and his death will bless Israel. Why do I reveal these things now? Why do I bring you to the center of the mystery so quickly? Because the time is short. The events are near. They are not far away. However, when the darkness comes and Israel is in distress, there will be a new moment. The Pope, the head of the Catholic Church, will go to Israel in its darkest hour and lay down his life for Israel. The eyes of many Jewish people will be opened. They will say “We have been saved by the Catholic Church”. The soil will be open and receptive again to the original seed. My Church and my Jewish people will be joined as I have wanted them to be for centuries. Churches will see what they have never seen and do what they thought they would never do. Seeing the union of Israel and the Catholic Church, they will say, “We must be one”. All the barriers to unity, put up over the many centuries, will be swept away in one breath of the Spirit. Also, the world will see something quite different, what they have never seen. They will see the Churches united and all the Churches united with Israel. The world will experience a powerful call to come out of darkness. The Church and Israel will be a light to all nations. The light will not be lessened or covered over by divisions of the Churches or divisions between the Churches and Israel. The world will not be able to escape the invitation. The unity will stand before them inviting them to accept Me as Lord. How entangled are the affairs of the world. How confused is modern man. For centuries, he has tried to gain control of nature, but he discovers that he cannot control himself. One nation affects another. Each person affects his neighbor. All spins out of control at a dizzying pace which constantly speeds up. Obviously, this cannot continue. Who can save mankind? O mankind, do you see a savior on the horizon? Is there someone rising up from your midst who will restore sanity and order? If so, where is he and what will bring him forth? I hear only silence. Your lips are sealed because these forces are beyond anyone or any nation. The great power of America has not restored order in the Middle East because the forces of evil are too widespread and continue to grow. The United Nations has no power and the international community is in disarray, all looking to their own interests. Take your eyes and look in every direction. No one is on the scene. Some would assume the mantle but they are weak pretenders. I will send someone and you will know who it is. He will not try to act alone. He is too humble for this. He will blow a clear trumpet. He will sound a new call. He will stir hearts. There will be someone again on the scene who will say, “Let us march” and the people will know that this is the voice of a true shepherd. He will gather the flock and bring back the strays. With this one shepherd, a million other shepherds will rise up, in every possible field, shepherds with new hearts, shepherds who will serve the people and not themselves. Then the people will take heart. They will say, “We have true shepherds in our midst”. This will be a new Church. These will be shepherds formed by my Immaculate Heart. This will be my gift to you. You will know my promise and see its fulfillment. Yes, Lord. I believe that is what You said, now that You mention it. I had forgotten. Alright, Lord. Jesus, it is fine with me if we do nothing. Whatever is Your will, Lord. (Name withheld) mentioned that she could simply send them to her distribution listing. It is fine with me if we don’t even do that. But, Your will be done. Yes, Lord. Thank You, Lord. Jesus, what are we to name this new site? I know (name withheld) will ask and I have no answer. What would You like it to be, Jesus? Yes, Lord. If You ask it, we will do as You say. Thank You, Lord. Lord, I talked with the person you asked me to call and she asked me about the page on the website and what it is to be called. I didn’t realize I needed to provide a name for this. I am fairly certain what you want but please confirm this. Is this the direction you will for the prayers, Lord? Is it supposed to be a separate page on this website Daughters of the Lamb? Yes, Lord, I trust in you. My confusion lies in the difference in these terms. I thought the Renewal was the same as the Era of Peace. Lord, will it be like I have read about in the pioneer days? Wow, Lord. This is wonderful! Yes, Jesus. Thank you for this great gift You have given us, the knowledge of the Renewal and the Era of Peace. It is very beautiful and merciful. Thank You Lord that You will what is best and is beyond your dreams for Your children for we would die without Your protection and restoration and renewal. Thank You sounds inadequate, Lord. I am grateful though and there are no words to describe my gratitude. A Great Chastisement, the likes of which has not been witnessed since the time of Noah, will be unleashed by God the Eternal Father. My followers who may say that this is not the way in which Jesus speaks, need now to ask yourselves this question. If Jesus is full of Mercy why would He, or God the Father, allow Satan’s army to continue and inflict terror on My children? It is out of Love for all of God’s children, that this Great Chastisement will take place. Repent all of you. Reject the empty promises of Satan. Reject the false, empty life he offers you. Accept that when you hear My Name being rejected in the world today, that this comes directly from the influence of Satan. Until My children turn away from him, then there can be no peace in this world. This is why you must ignore the obstacles presented to you. The persecution. The pain. The horror of evil by the hands of others.